There. I said it. 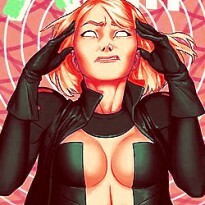 I realize I've just totally ruined it for those of you who haven't read it yet, but you know what? You deserve to know, because how much you'll enjoy Cryer's Cross depends on exactly how much that single fact will bother you. 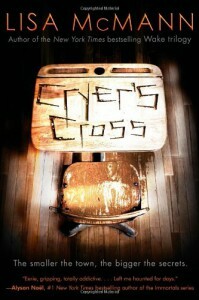 Cryer's Cross suffers mightily from Stephen King Syndrome, meaning it's very well-written, has an incredibly interesting story and well-developed characters, and a really stupid monster. In fact, I'd actually call it Stephen King Lite - and that's not in a derisive or snide way. One of my biggest issue with King is that he takes forever to get to the point. McMann doesn't - her writing is focused, sharp, and clear, and where it takes me days, sometimes weeks, to get through King stories (most of the time yelling in my head "GET ON WITH IT! "), I blew through Cryer's Cross in about three hours without ever wanting to stop.